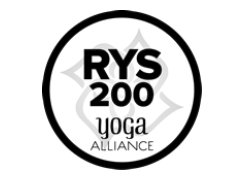 Summit Yoga currently offers a 200 hour Yoga Teacher Training Certification Program registered with Yoga Alliance for those wanting to teach or just to LEARN. We are adding a second style of 200 Hour program starting Fall 2019. Brand new to Yoga? Even better! You will learn healthy yoga practice habits along with sound body movement patterns with our program from the very beginning of your practice! Study the different learning styles of yoga students and learn methods to address each style when you teach yoga. Experience lots of practice teaching as you develop your skills. Summit Yoga is interested in your personal journey as a human. We empower each trainee to discover what really matters to you! We offer 2 different Yoga Teacher Training Programs and 3 types of training schedules. WEEK(DAYS) - Vinyasa Flow (Pose Sequencing) Training 200 Hour Program - The FAST TRACK - 3 weeks to complete the program. 3 week intensive weekday course - Carrollton training starts Monday, July 8th, 2019, 7:30am - 7:30pm. Did a Summit staff member refer you? Please give them credit here! Thank you! We’ll send you the deets ASAP!! Summit Yoga is pleased to offer 1 full scholarship per Yoga Teacher Training group. Scholarship applicants are asked to answer the following question to be considered: “Why did you choose Summit for your Yoga Teacher Training?” The scholarship is not based on financial need - we do not ask for any sensitive income information to be considered. The scholarship award is based on your desire to contribute to the Summit community and beyond! Scholarship entries that have avoided answering the application question "Why Summit?" are subject to possible disqualification. Scholarship entries over the 500 word limit are subject to possible disqualification. We will begin accepting essay submissions in May & June. The deadline for submission is June 8th.